Home > Cons, DCCRPG, kickstarter, Reviews, Roleplaying	> DCC LANKHMAR! Goodman Games announced at GaryCon that through the Fritz Leiber estate, they have acquired the rights to publish a new way of playing Dungeon Crawl Classics, with the world of Nehwon as it’s setting: DCC Lankhmar. Gongfarmers No More: Unlike regular DCC, you don’t start as a level zero character. You are a hero! Act like one! Go forth, get money, spend that money, get more. Wealth is temporary but adventure is continual! Mercurial Magic Minimized: No more Mercurial Magic effects. While you still may not know whether your fireball spell will give you a puny puff of flame or a massive blast of fire decimating the countryside until you roll… the side effects of magic will not be as pronounced. No rain of frogs, no gender swaps, and so on. Characters First: There are only three classes: Wizard, Thief and Warrior. However, those classes are not ‘pure’ as in contemporary DCC. You may have a thief who has dabbled in sorcery and is able to cast a magic missile every so often. You may have a Warrior who can sneak and backstab. You may have a Wizard who is so good with his quarterstaff he is capable of Mighty Deeds. A great combination in every character and they have added a new series of quirks to characters that broaden everyone’s horizons. Less Is More: Since there are less classes, and the classes available have some overlap, DCC Lankhmar may be ideal for game days when you only have a few around the table. It’s Only A Flesh Wound! : Only three classes means no clerical magic to heal you. Are you lucky enough that the blow which you thought was so severe is actually not that bad? The mechanic for this still seems to be a work in progress, but it’s a great amount of fun as it is. Do You Feel Lucky? Speaking of luck, there’s more to be had out there! Get luck, spend luck, recover luck and more! Great deeds are not done by just hoping they happen… you must go forth and find your adventure… maybe even go down and carouse the bars a bit and see what happens. Pleased To Meet You! There will be new patrons, and new ways of patronage. Ningauble is discussed as a patron in the first release. I can imagine Sheelba will be the second, but there are many others out there as well. Perhaps not a god or powerful sorcerer or thing from beyond: maybe just a crime boss or powerful noble? They are examining new ways of handling patronage and it looks amazing. THIS IS NOT A NEW GAME: There is no need to panic. This is NOT DCC 2nd Edition or Advanced DCC. This is the same DCC we all know and love, just kicked up a notch (or five) and re-skinned with some great new setting ideas, great new effects and great new ways or playing and of looking at things. Save the pitchforks for your potato farmers. Cannot wait for more information to come out and to start my own players off in the “City of Adventure” but I will have to. They will be having a couple more “supplements” like the one pictured and then a box set down the line. I expect an amazing Kickstarter to be launched some time in the future. If you can’t wait and want to do your own, you can get the supplement “Through Ningauble’s Cave” which details a way to get your current players over to Nehwon though the “Gossiper of the Gods” mysterious cavern. 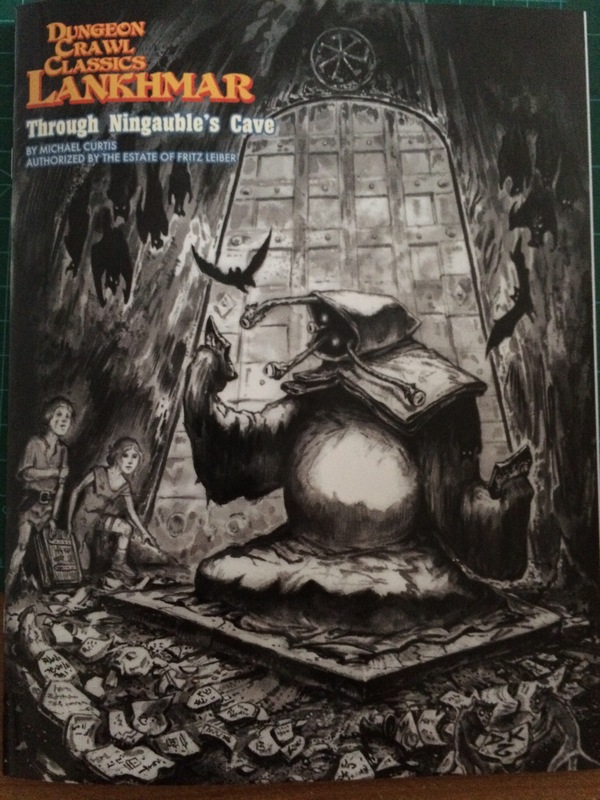 It’s chock-full of adventure ideas and encounter samples as well as a patron write-up for Ningauble and a (partial) map of his Bottomless Caves. 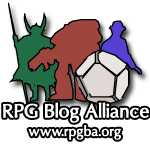 Another home run for DCCRPG and Goodman Games! This is something I can get excited about! Love old school Frittz Leiber Fafhyrd and the Grey Mouser and have the old AD&D Lankhmar book, which is just a great book on its own. A grittier DCC is just the thing to bring that setting back to life! This is very cool! I love being able to use these old ones again when we play https://fyxtrpg.com/. This should be a lot of fun to check out these old school treasures again. A Tale of Two Lankhmars » They Might Be Gazebos!